Many ethno-religious groups such as the Yezidis and the Sabean/Mandeans are struggling to survive in the Middle East. If the present trend of exodus and persecution continues it is unlikely that they will survive the twenty-first century in their homeland, though they will have a presence in the Diaspora. Middle East has always been home to obscure religious sects some of which did not survive to the twentieth century. One such group is the Shemsi (or Shamsiya, Shamsia etc). Very little is written about them in contemporary times. Only in the nineteenth century and earlier did the missionaries and travellers paid some scant regard to these people, who seemed to have been absorbed by the Syriac Orthodox Assyrians in Mardin. The presence of the Shemsi is recorded in Ottoman sources both in Amid (Diyarbekr) and Mardin. In the first Tahrir Register conducted in 1518 in Diyarbekr to identify people liable to the capitulation tax (cizye), does not list the Shemsi, but the second Tahrir Register identify the Shemsi as a separate congregation.2 It is known that in the thirteenth and the sixteenth centuries they had separate quarters and cemetery in Mardin.3 In Mardin, in the locality of Şemsiyyân, where the majority of the inhabitants were said to be Shemsi people, 22, 66 and 82 people liable for tax are recorded in 1608-1611, 1692-93 and 1694-95 respectively.4 Given that the ratio of those liable for the tax the general population was 1 to 5, it can be surmised that no more than 400 Shemsi lived in Mardin in the seventeenth century. Simeon also noted that the sect was known as Arevortik (sons of the sun) among the Armenians since the fifth century and that the sect was thought to be of Persian origin. Simeon added that the Yezidis were also thought to be of Arevortik background.7 As the Yezidis prey at least twice a day facing the sun, the connection to the Yezidis seem plausible. Nevertheless, sun (light, fire) was worshipped by Gnostics, and Gnostics ideas are prevalent in both Alawi, Druse, Sabean/Mandean and Yezidi religions. The next reference to the Shemsi can be found in a 1739 study about Manichaeism: [t]hey believe in God, Paradise, Hell, last judgment and honour Jesus Christ […]. It is said that they are united with the Jacobites of Syria. They are valiant, but humane, hospitable and live among us in great harmony.16 This is inconsistent with both Simeon and Fevbre’s biased accounts. It is difficult to ascertain the veracity of some of Wolff’s account especially in relation to the narrative about the Patriarch buying the Shamsia. From whom were they bought is not specified. Was it paid as a tax to the Palace? It is not very clear. Also, in another source though relying on the account of Wolff it states that it was the patriarch of the Nestorians (rather than Syriac Orthodox) who paid the 1,000 piaster.19 Consequently, most of the accounts are not reliable in this aspect and are likely to be erroneous, as we shall see. Much like Wolff’s account, Campanile’s information also contains factual errors. Mustafa I ruled between 1617-18 and 1622-23, also known as Mustafa the Mad (Deli Mustafa), he was more than likely suffering from a mental illness. Most of his life was imprisoned in his room by the palace clique. It would have been unlikely that Mustafa I ordered the Shemsi to convert to Islam or Christianity. Reportedly, he was so weak he could not even ride a horse.22 Mustafa II ruled between 1695-1703. We know from Fevbre that by then the Shemsi already united with the Syriac Orthodox. Murat IV ruled between 1623 and 1640 and waged a campaign to Bagdad in 1639.23 It is possible that Campanile made a typographical error stating 1639 as the year Murat passed through Mardin. In 1693, Ahmed II was the Sultan on the Ottoman throne. Walpole who visited Mardin in 1850 also mentions that it was during the Sultan Murat reign that the Syrian Patriarch of the day took them under his protection. Known as worshipper of the sun, they would not divulge any information about their religion even to the Patriarch who protected them. The penalty for divulging details of the religion was stated to be “death from the hands of their fellows”,24 which explains the difficulties in obtaining reliable information. The narratives about Shemsi conversion are varied to such an extent to be almost apocryphal. It is either an unnamed governor/pasha or the Sultan (Mustafa or Murat) who forced the Shemsi to convert to a recognised religion. Evidently, there are many inconsistencies in these narratives. We do know from Fevbre that the conversion occurred much earlier than suggested by either Campanile or Wolff. In fact, Syriac sources suggest that the Shemsi joined the Syrian Orthodox congregation in 500 AD. A document of Patriarch Ibrahim bar Gharib, dated 1400 AD state that “the Shamsis […] were led to God’s obedience and the doctrine of the Syrians 900 years ago”.25 The date of conversion suggested in this document coincides with the construction of the Deir-al-Zafran monastery. However, this date is more than likely to be approximate. A document by Basilius, Maphryono of the East, in 1446, still suggests that the conversion took place 900 years ago (546?) and a letter by Patriarch Ignatius Khalaf in 1458 does the same (558? ).26 Clearly these latter documents copied the original document by Patriarch Ibrahim bar Gharib. What we can surmise from these invaluable sources is that the Shemsi joined the Syrian Orthodox congregation much earlier than the missionaries and the travellers were led to believe. It is certain that they were given patently false information. Hüseyin Türk in his study on the Nusayris in Turkey, notes that one branch of the Nusayri, the Haydârî, are known as Şemsî.35 Thus, one hypothesis is that the Shemsi originated from the Ansayri/Nusayri, an off-shoot of the Shiites, but just like the Alawis, the Alevis and the Druzes moved away from Islam completely to a unique system of beliefs. In the ever persistent compulsion in the Turkish historiography of connecting of every ethnic group or nation that lived in Anatolia to Turcic origins, it is claimed that the Shemsi were specifically of Oğuz Turkish, though apparently Christian Oğuz background.38 Discounting the latter as a not serious scholarly consideration, there are still a number of hypotheses which remain outstanding. Indeed, the scant information does not allow us to speculate about the size of the sect, their precise religious beliefs and/or practices, or their origin. Some information concerning their religious practices have been recorded, but this information seems to be second hand rather than through direct observation. From the limited amount of information available about their religion, it could be said that they shares some religious tenets with Yezidis, Sabeans, Zoroastrians, Alawis and Druzes. Given that Gnostic elements are present in all these religions, all we can deduct from this is that Gnosticism has influenced many religions in the Middle East. Their secrecy prevented their neighbours to find much about their religion and rituals. In fact the only reliable fact is the obsession with secrecy of this sect as reported by many observers. Despite the factual errors, noted above, Campanile’s account contains some interesting observations. Campanile notes that “[i]f they speak with Turks, they claim to be Turks and brag to be Jewish with the Jews and Christians with the Christians”.44 This seems to be a practice of dissimulation (taqiya) which both the Druzes and the Alawite practiced, which strengthens the hypothesis about connection between the sects. according to Campanile. Dupré who visited Mardin in the early nineteenth century, noted that there were 800 Shemsis.48 Another source, reported that there were 15,000 Shemsi in Mesopotamia in 1824, which seems unlikely.49 Consequently, the size of the community in the nineteenth century also remains an unresolved issue. All references in the nineteenth century suggest that the Shemsi resisted becoming Christians for centuries if not for more than a millennium. They may have eventually capitulated and joined the Syriac orthodox congregation in practice, as well as in spirit, and, perhaps through intermarriage integrated fully with the Assyrians. Alioğlu E. F., Mardin, Tarih Vakfı Yayınları, 2nd Edition, İstanbul, 2003.
accessed on 16 August 2010. Ainsworth W. H., The New Monthly Magazine, Vol 94, Chapman and Hall, London, 1852. Archives du Christianisme au Dix-Neuvieme Siecle, Chez H. Servier, Libraire, Paris, 1825. Bergier A., Diccionario Enciclopédico de Teologia, Vol. 9, Imprenta de Don Tomas Jordan, Madrid, 1835. Buckingham J. S., Travel in Mesopotamia, Henry Colburn, London, 1827. Campanile G., Storia della Regione del Kurdistan e delle sette di religione ivi esistenti, Dalla Stamperia De’ Fratelli Fernandes, Napoli, 1818, p.124, reprinted in étude kurdes, Institute Kurd de Paris, N° Hors série I, April 2004. The Christian Library, Vol VII, Tomas George, Jr, New-York, 1836. Demir A., ‘The Effect of Immigration on Diyarbakir City Demography in the First Half of the 6th Century’, bilig, Summer, Number 50, 2009, pp. 15-30. Diken Ş, Sırrını Surlarına Fısıldayan Şehir: Diyarbakır, İletişim Yayınları, İstanbul, 2002. Dulaurier M É, Réçit de la Premièr Croisade: Extrait de la Chronique de Matthiue D’Édesse, Benjamin Duprat, Libraire de L’Institute de France, Paris, 1850. The Eclectic Review, Vol. XXIV, B J Holdsworth, London, July-December, 1825. Febvre M., L'État présent de la Turquie, Chez Edme Couterot, Paris, 1675. Febvre M., Théâtre de la Turquie, Chez Edme Couterot, Paris, 1682. Grégoire M., Histoire des Sect Religieuses, Vol IV, Baudouin Frères, Paris, 1829. University, 1928, this edition: Saqi Books, London, 2007. Jorga N., Osmanlı Imparatorluğu Tarihi, trans. Nilüfer Epceli, Vol. 3, Yeditepe Yayınevi, 2005. Makalelerle Mardin, Mardin Tarihi İhtisas Kütüphanesi, Yayın 7, İstanbul, 2007.
communities in the Near East’: Collected papers of the Symposium, Berlin 1995, Koninklyke, Leiden, 1997. Kelly W. K., Syria and the Holy Land, Chapman and Hall, London, 1844. Sassel O, Genealogisch-historisch-statistisch almanac, im Berlagebes, Weimar, 1824. Sever E., Yezidiler ve Yezidilik Kökeni, Berfin Yayınları, İstanbul, 1993. Simeon, Tarihte Ermeniler 1608 - 1619, trans. Hrabt D Andreasyan, Çiviyazıları, İstanbul, 1999. Southgate H., Narrative of a Tour Through Armenia, Kurdistan, Persia and Mesopotamia, Vol. II, Tilt and Bogue, London. Şapolyo E. B., Mezhepler ver Tarikatlar tarihi, 1964. Türk H., Nusayrîlik, Kaknüs antropoloji, İstanbul, 2005.
van Bruinessen M, Evliya Celebi in Diyarbakir, E.J.Brill, Leiden, 1988. Volney M.C, Travels in Syria & Egypt during the Years 1783, 1784 & 1785, Vol. 1, R.
Walpole F., The Ansayrii, Vol I, Richard Bentley, London, 1851. Abate Bergier, Diccionario Enciclopédico de Teologia, Vol. 9, Madrid, 1835, p. 24. Alpaslan Demir, ‘The Effect of Immigration on Diyarbakir City Demography in the First Half of the 6th Century’, bilig, Summer, Number 50, 2009, p. 19. E. Füsun Alioğlu, Mardin, Tarih Vakfı Yayınları, 2nd Edition, İstanbul, 2003, p. 44. Orhan Kılıç, ‘17. 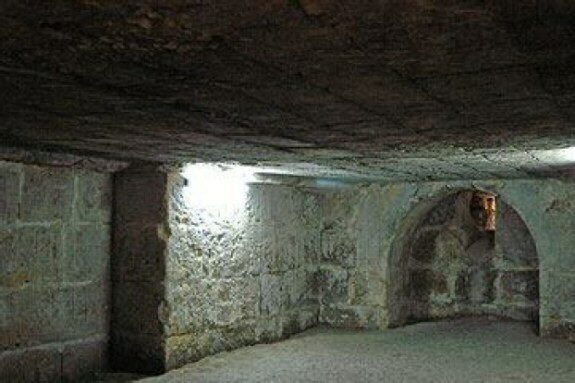 Yüzyıl Mardin tarihinden iki kesit: Gayrimüslim nüfus ve kale teşkilatı’ in Makalelerle Mardin, Mardin Tarihi İhtisas Kütüphanesi, Yayın 7, İstanbul, 2007, p. 417. Şeyhmus Diken, Sırrını Surlarına Fısıldayan Şehir: Diyarbakır, İstanbul, 2002, p. 58. Simeon, Tarihte Ermeniler 1608 - 1619, trans. Hrabt D Andreasyan, İstanbul, 1999, p. 165. M Édouard Dulaurier, Réçit de la Premièr Croisade: Extrait de la Chronique de Matthiue D’Édesse, Paris, 1850, p. 86. Today Samsat in the province of Adıyaman in Turkey. Dulaurier, op. cit., p. 105. ‘Syncretic religious communities in the Near East’: Collected papers of the Symposium, Berlin 1995, K.Kehl-Bodrogi, B.Kellner-Heinkele & A.Otter-Beaujean (eds. ), Koninklyke, 1997, p. 5. Michel Febvre, L'État présent de la Turquie, Paris, 1675, p. 439. Michel Febvre. Théâtre de la Turquie, Paris, 1682, p. 501. M. de Beausobre, Histoire de Manichée et du Manicheisme, Vol. 2, Amsterdam, 1739, p. 613. Carsten Niebuhr, Voyage en Arabia, Vol II, pp. 321-322 quoted in The Christian Library, Vol VII, New-York, 1836. Archives du Christianisme au Dix-Neuvieme Siecle, Paris, 1825, pp. 184-85. M Grégoire, Histoire des Sect Religieuses, Vol IV, Paris, 1829, p. 267. G Campanile, Storia della Regione del Kurdistan e delle sette di religione ivi esistenti, Dalla Stamperia De’ Fratelli Fernandes, Napoli, 1818, p.124, reprinted in étude kurdes, Institute Kurd de Paris, N° Hors série I, April 2004. Nicolae Jorga, Osmanlı Imparatorluğu Tarihi, trans. Nilüfer Epceli, Vol. 3, 2005, p. 365. F Walpole, The Ansayrii, Vol I, London, 1851, p. 192. The Collected Historical Essays of Aphram I Barsoum, tr. Matti Moosa, Vol 1: English Translation, Gorgias Press, 2009, p. 181. Al-Majalla Al-Patriarchiyya, 3, no. 4 (1936) quoted in The Collected Historical Essays of Aphram I Barsoum, p. 179. The Eclectic Review, Vol. XXIV, London, July-December, 1825, p. 307. W H Ainsworth, The New Monthly Magazine, Vol. 94, London, 1852, p. 92. H Türk, Nusayrîlik, İstanbul, 2005, p. 39. Campanile, op. cit., p. 124. W. K. Kelly, Syria and the Holy Land, London, 1844, pp. 48-49. Enver Behnan Şapolyo, Mezhepler ver Tarikatlar tarihi, 1964, p.279. Martin van Bruinessen, Evliya Celebi in Diyarbakir, Leiden, 1988, p.32. Phillip K. Hitti, The Origins of the Druze People and Religion, First published by Columbia University, 1928, this edition, London, 2007, p. 85. Horatio Southgate, Narrative of a Tour Through Armenia, Kurdistan, Persia and Mesopotamia, Vol. II, London, pp. 284-85. J. S.Buckingham, Travel in Mesopotamia, London, 1827, pp. 192-93. Campanile, op. cit., p. 126. Al-Majalla Al-Patriarchiyya, op.cit., p. 179. A. Dupré, Voyage en Perse: fait dans les annés 1807, 1808 et 1809, Vol. 1, Paris, 1819, p. 80. O. Sassel, Genealogisch-historisch-statistisch almanac, im Berlagebes, Weimar, 1824, p. 108. “Bab ël-Şor” in the Mardin dialect of Arabic.